2013 was an astounding year for Textile Waste Diversion, because we implemented a massive corporate restructuring that complimented New Green Economy standards proposed by the UN and forward thinkers like The Venus Project. We made our management and pay structure equitable, started profit sharing initiatives, employee support programs, as well as public awareness/education campaigns aimed at inspiring residents of Ontario to embrace community recycling projects, such as used clothing charity collections. We helped set a new standard for the used clothing collection sector by supporting municipal regulations, advocating for provincial regulations, and championed the cause of insurance requirements for the sector. To celebrate waste reduction week in Canada we had an office waste audit, and implemented a paper recycling program that reduced our waste impact. The highlight of our year was receiving a Gold Operator’s Award from the Recycling Council Of Ontario. We worked really hard to set that standard, and it was a very proud moment for us to be celebrated for it! 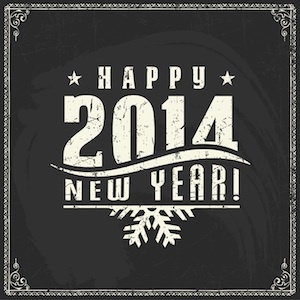 In 2013 we worked tirelessly to set the positive foundation for 2014. In 2014 we have several ‘resolutions’ we look forward to championing. Besides continuing to provide meticulous service to the registered charities that use our logistic, maintenance and brokering services, we aim at providing new green technology to manage textile waste locally in value-added ways that will increase the fundraising potential of used clothing collections. In 2014 we intend to champion the cause of industry certification requirements to further refine the textile recycling industry. It’s time that integral recyclers be recognized for their good work and be protected by industry pirates that should no longer be allowed to taint the sector. We are helping to develop a program that monitors all waste stream operations in an effort to make all processes accountable and available to the public. We are also working with grading facilities to assist them in accountability process development. In 2014 our services will be available to companies in all sectors better manage their textile waste stream into a more sustainable process. We will also begin lobbying for the banning of textile waste from Ontario landfills. 2014 will also be a year of public education. We are committed to raising awareness among Ontario residents about the community benefits textile recycling offers. In 2013, our efforts helped divert approximately 30 million pounds of waste away from landfills! This year, we hope to see that rise to 50 million pounds. With your help, it’s possible! Please help us raise awareness by sharing this article.